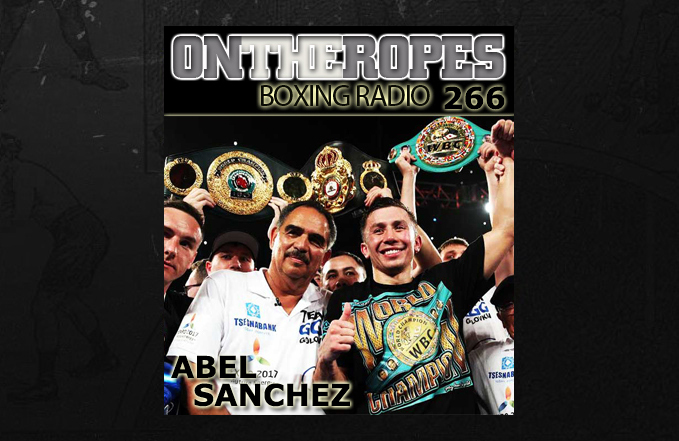 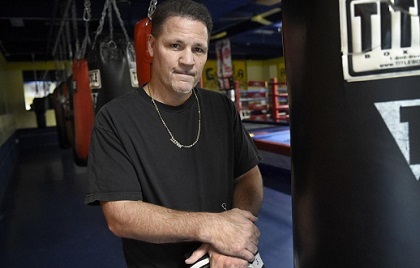 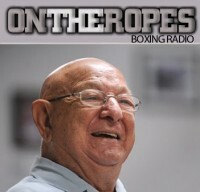 “On The Ropes” boxing radio Episode 266 features a guest interview with trainer Abel Sanchez. 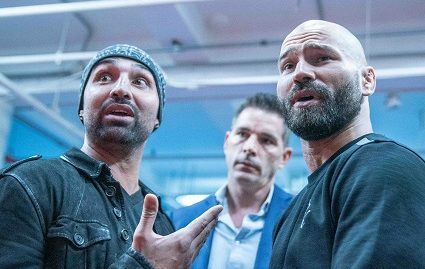 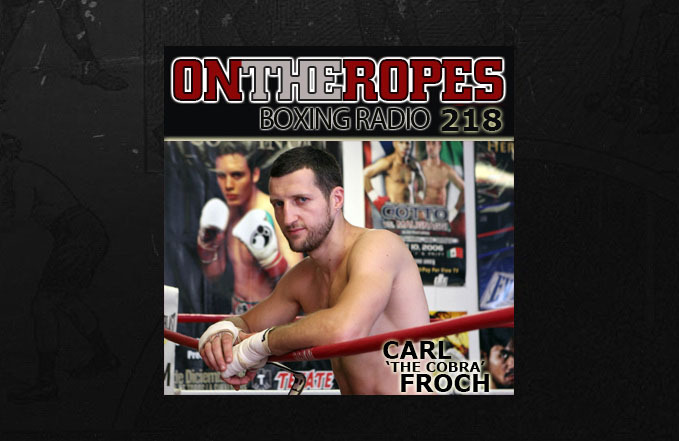 He speaks on the Golovkin vs. Canelo 2 bout and shares his views on having a trilogy. 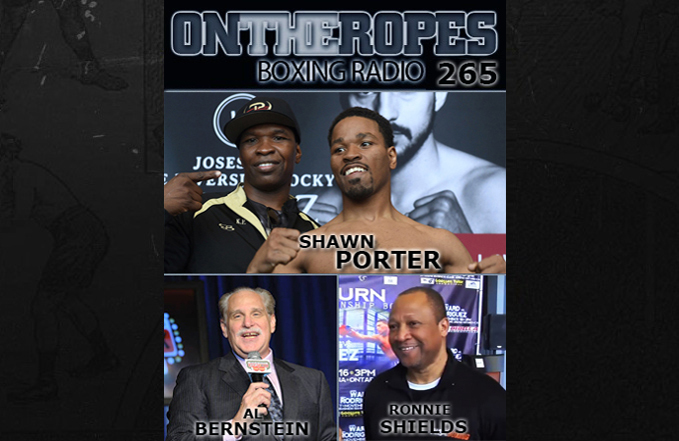 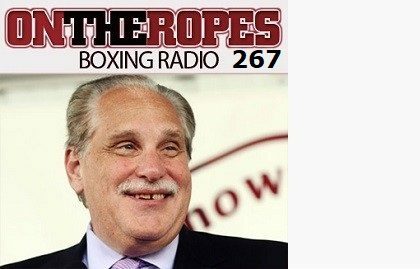 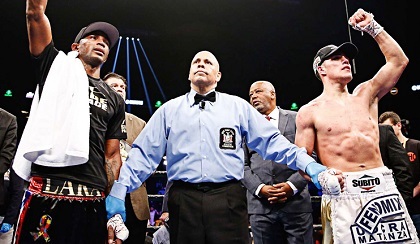 “On The Ropes” boxing radio Episode 265 features guest interviews with former IBF welterweight champion Shawn Porter, Hall of famer commentator Al Bernstein & trainer Ronnie Shields. 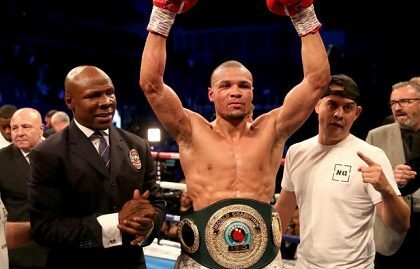 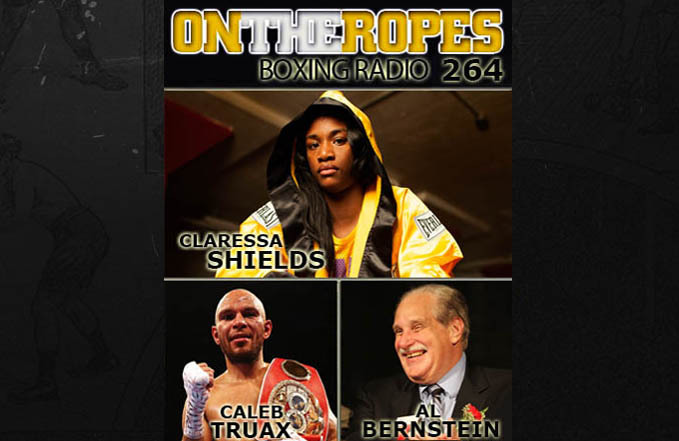 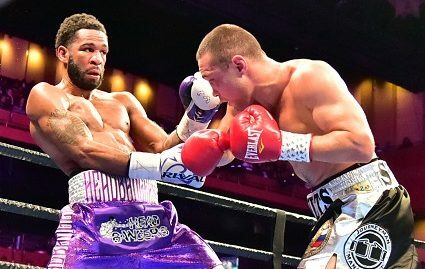 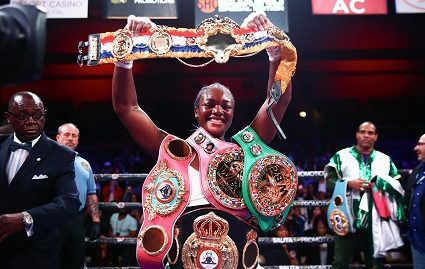 “On The Ropes” boxing radio Episode 264 features guest interviews with WBC & IBF CHAMPION CLARESSA SHEILDS, IBF SUPER MIDDLEWEIGHT CHAMPION CALEB TRUAX & HALL OF FAME COMMENTATOR AL BERNSTEIN. 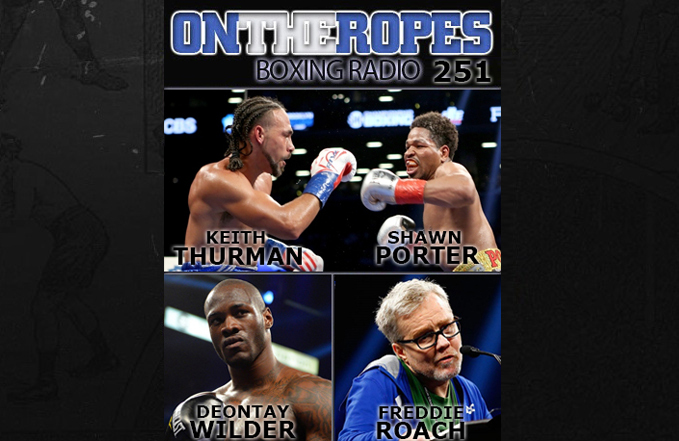 “On The Ropes” boxing radio Episode 263 features guest interviews with WBC heavyweight champion Deontay Wilder. 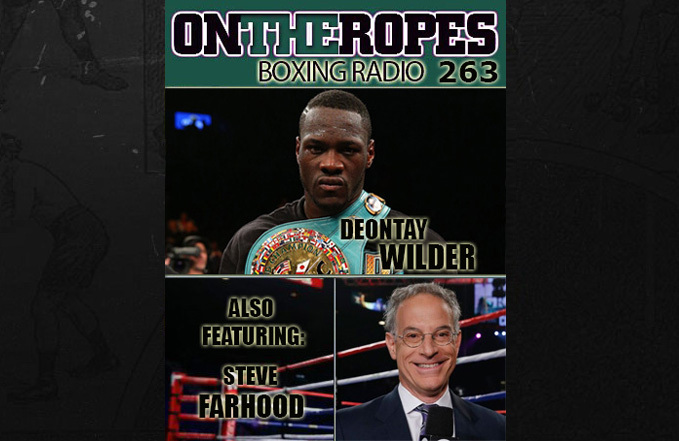 Also featuring hall of fame broadcaster Steve Farhood. 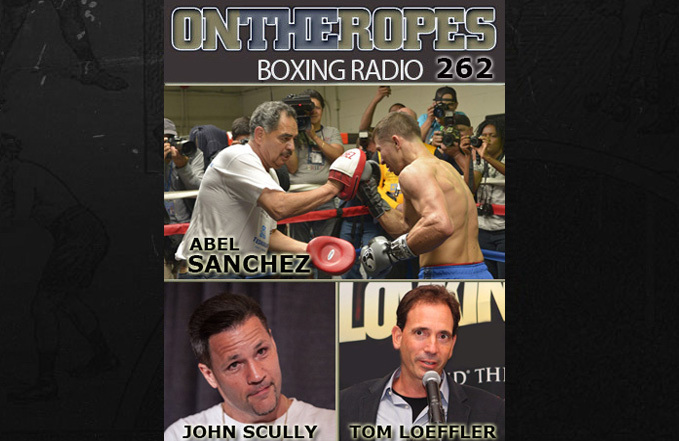 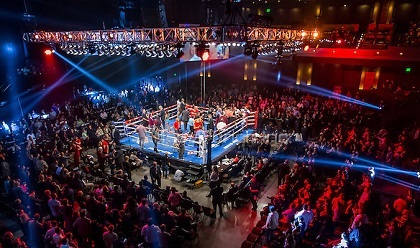 “On The Ropes” boxing radio Episode 262 features guest interviews with trainer Abel Sanchez, K2 promotions managing director Tom Loeffler & and former world title challenger Iceman John Scully. 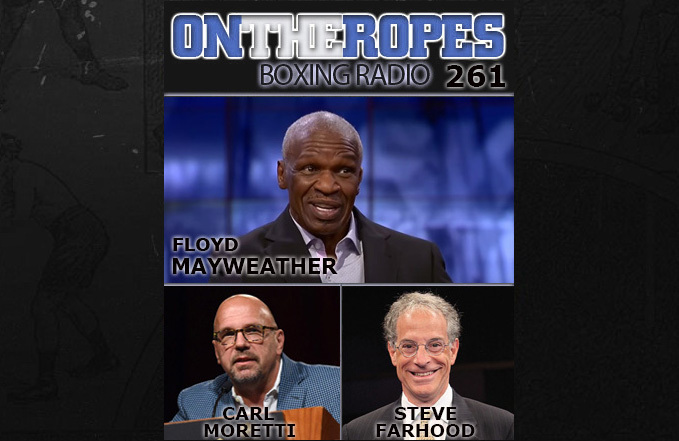 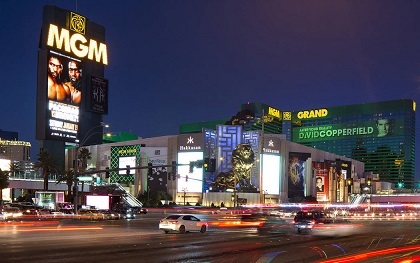 “On The Ropes” boxing radio Episode 261 features guest interviews with trainer Floyd Mayweather Sr, VP of boxing operations with Top Rank promotions Carl Moretti & and Hall of fame commentator Steve Farhood. 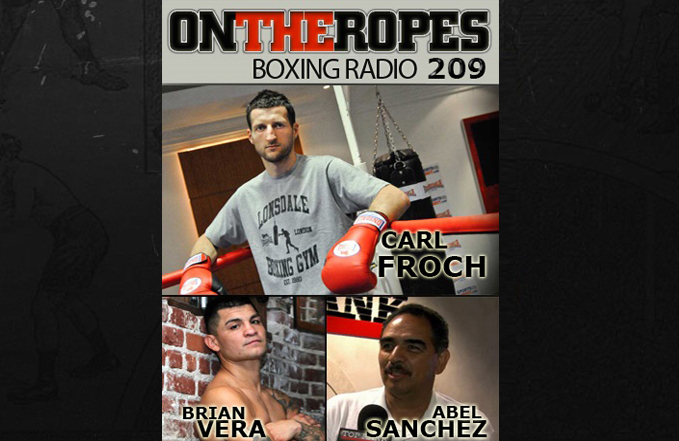 “On The Ropes” boxing radio Episode 260 features guest interviews with trainer Abel Sanchez, Lightweight Contender Ray Beltran & and Hall of fame trainer Freddie Roach. 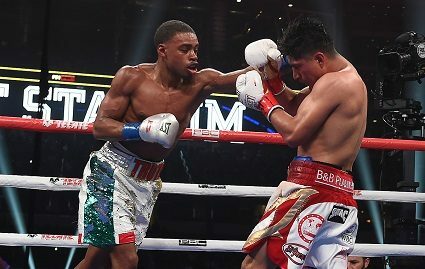 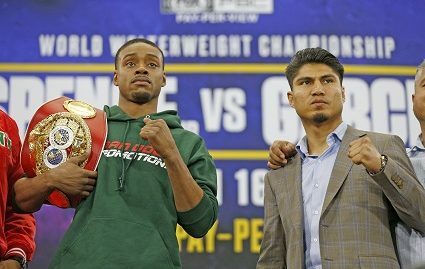 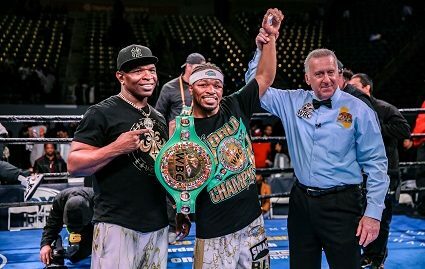 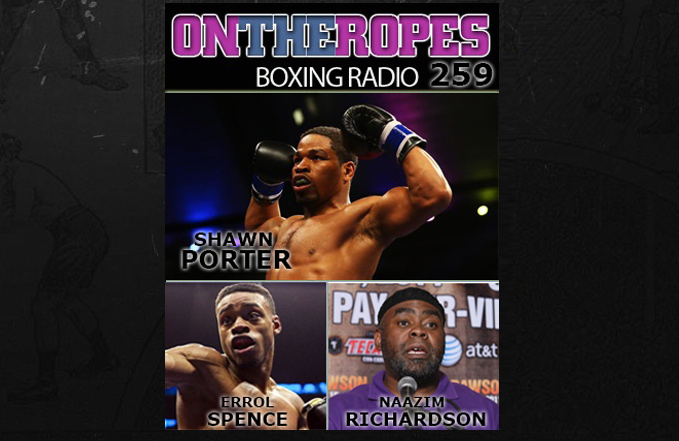 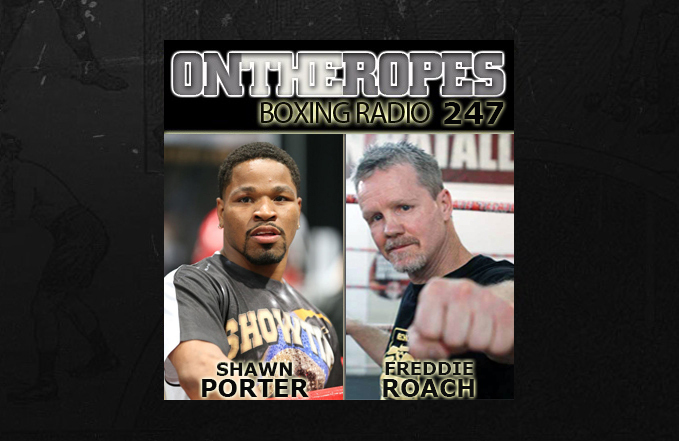 “On The Ropes” boxing radio Episode 259 features guest interviews with former IBF Welterweight champion Shawn Porter, Top Contender Errol Spence & boxing trainer Naazim Richardson. 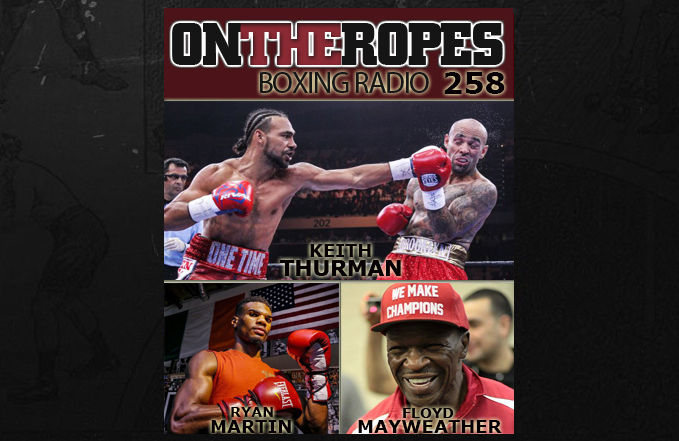 “On The Ropes” boxing radio Episode 258 features guest interviews with WBA Welterweight champion Keith Thurman, rising contender Ryan Martin & boxing trainer Floyd Mayweather Sr.
“On The Ropes” boxing radio Episode 257 features guest interviews with former undisputed Light heavyweight champion Roy Jones Jr, former light welterweight champion Lamont Peterson & boxing commentator Barry Tompkins. 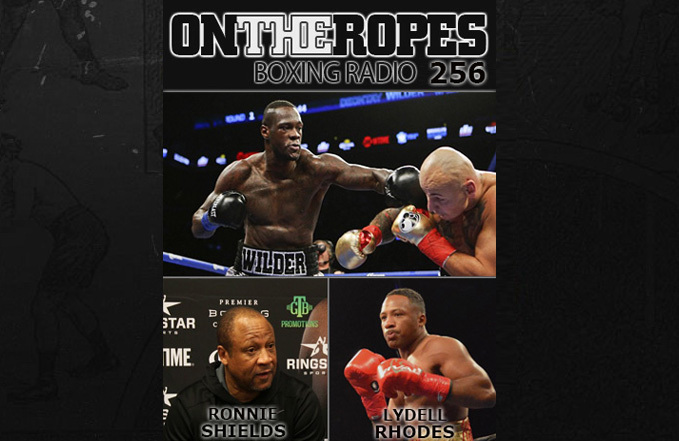 “On The Ropes” boxing radio Episode 256 features guest interviews with WBC heavyweight champion Deontay Wilder, Trainer Ronnie Shields and contender Lydell Rhodes. 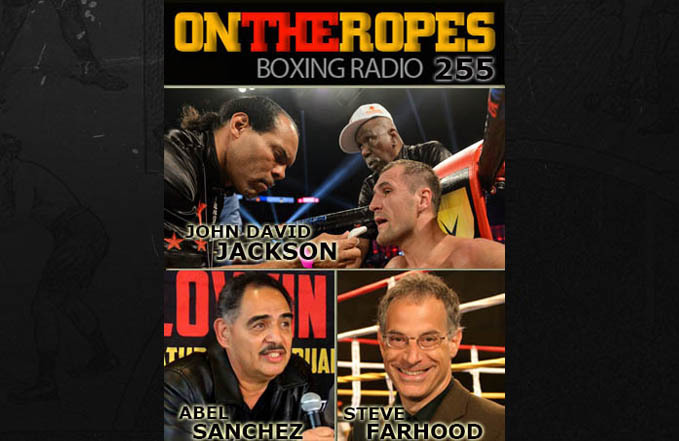 “On The Ropes” boxing radio Episode 255 features guest interviews with trainer Abel Sancehz, former world champion & Trainer John David Jackson & Hall of fame inductee Steve Farhood. 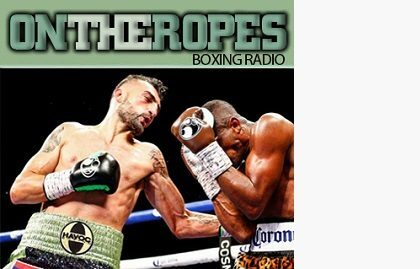 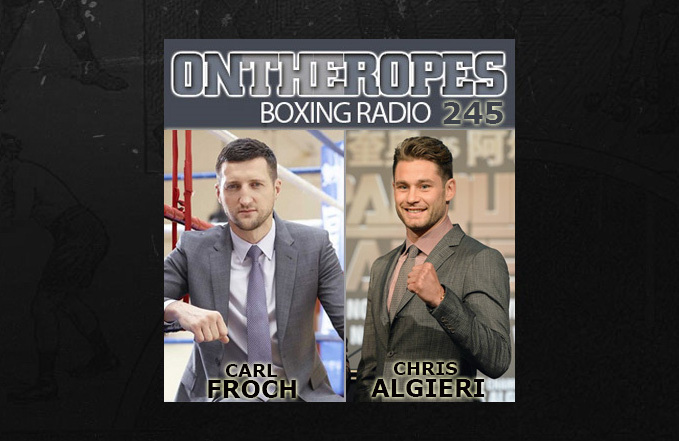 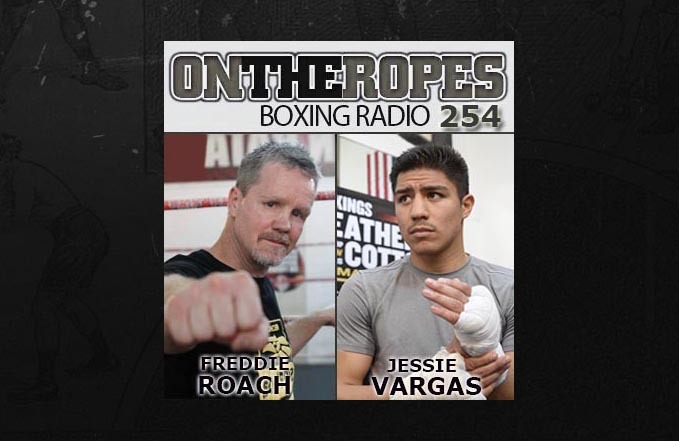 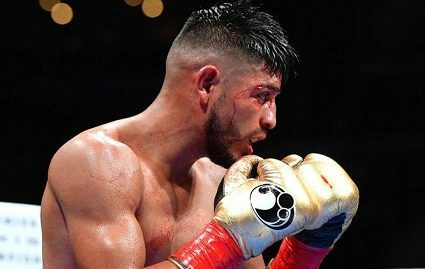 “On The Ropes” boxing radio Episode 254 features guest interviews with Hall of fame trainer Freddie Roach and reigning WBO welterweight champion Jessie Vargas. 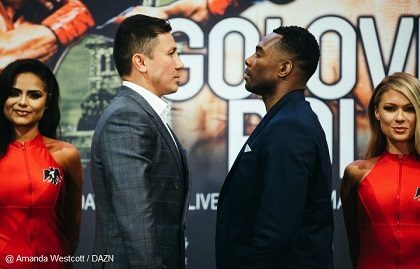 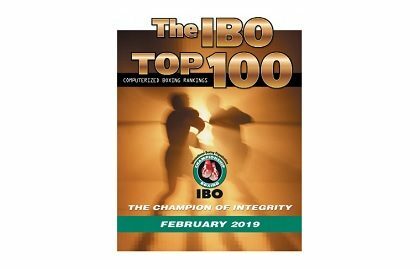 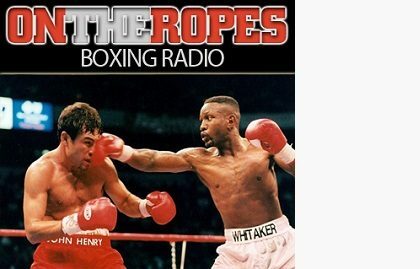 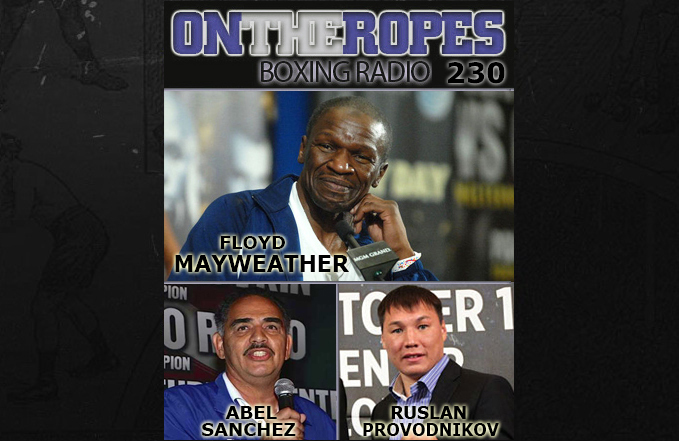 “On The Ropes” boxing radio Episode 253 features guest interviews with 2O13 “On The Roopes” trainer of the year Floyd Mayweather Sr and the world-renowned trainer of Gennady Golovkin, Abel Sanchez. 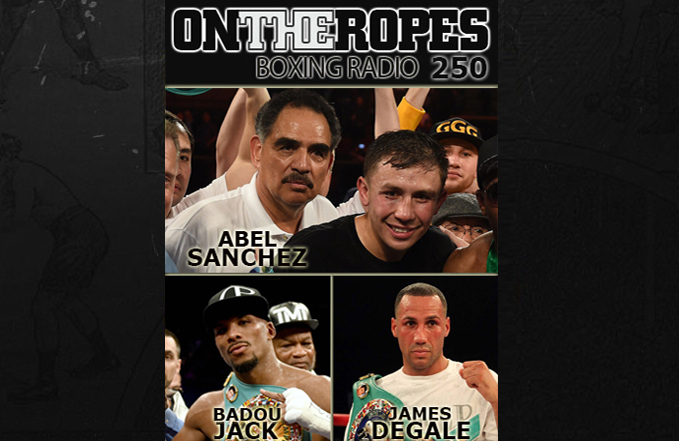 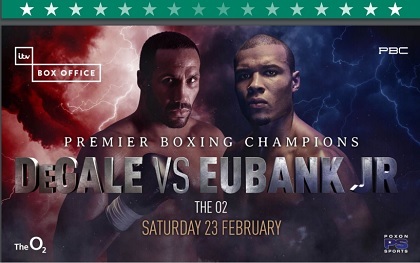 “On The Ropes” boxing radio Episode 250 features guest interviews with reigning WBC super middleweight champion Badou Jack & IBF champion James DeGale. 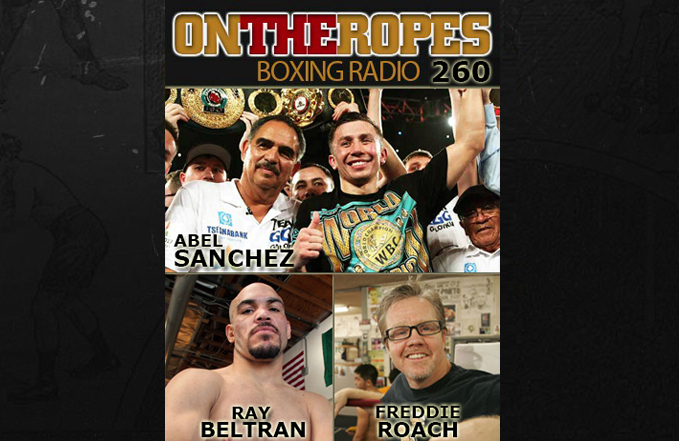 Also featuring trainer Abel Sanchez. 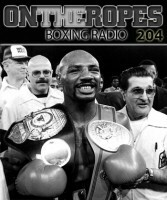 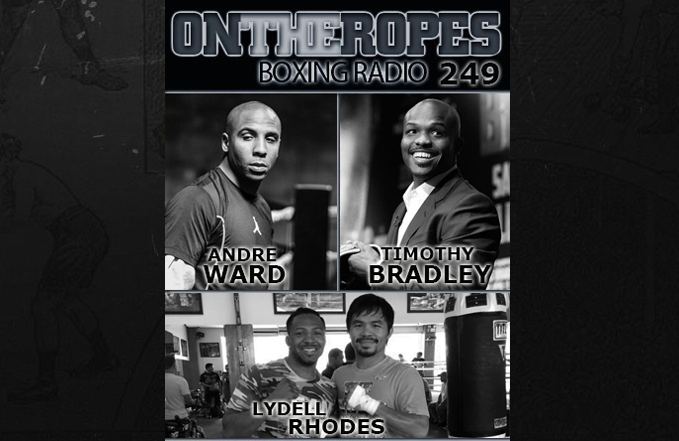 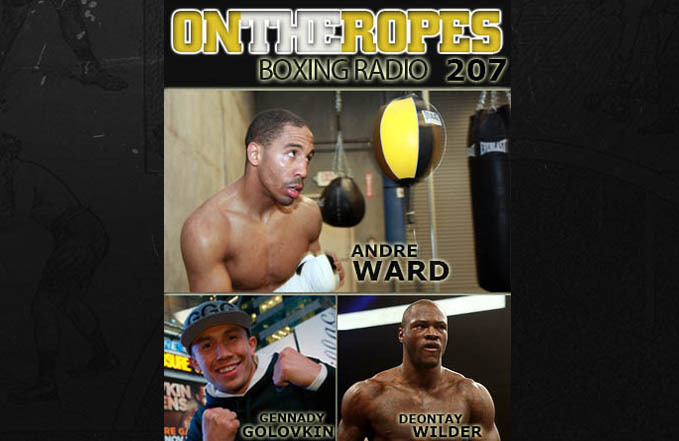 “On The Ropes” boxing radio Episode 249 features guest interviews former super middleweight champion Andre Ward, 3 time champion Timothy Bradley and contender Lydell Rhodes. 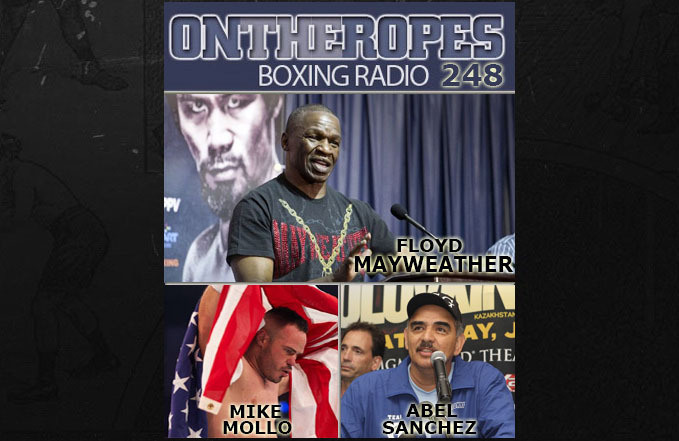 “On The Ropes” boxing radio Episode 248 features guest interviews world renowned trainer Floyd Mayweather Sr, heavyweight contender Mike Mollo & trainer of the year, Abel Sanchez. 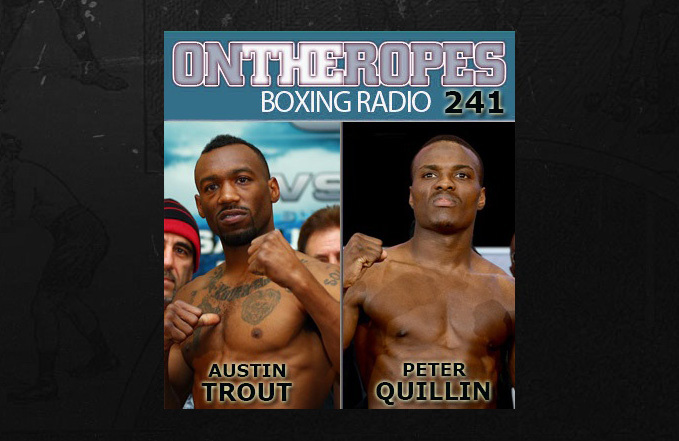 “On The Ropes” boxing radio Episode 241 features guest interviews with former junior middleweight champion Austin “No Doubt” Trout & former middleweight champion Peter “Kid Chocolate” Quillin. 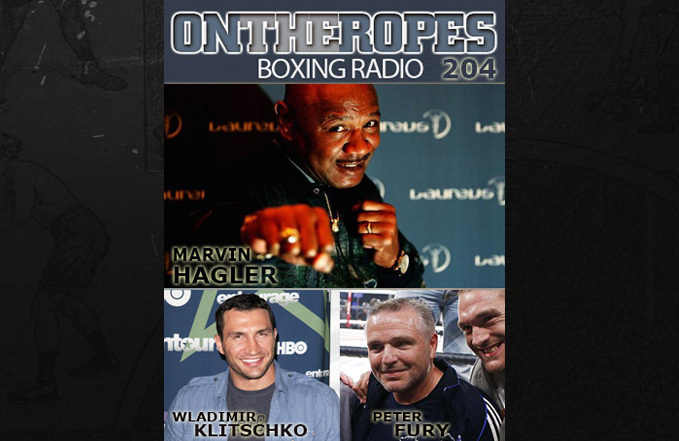 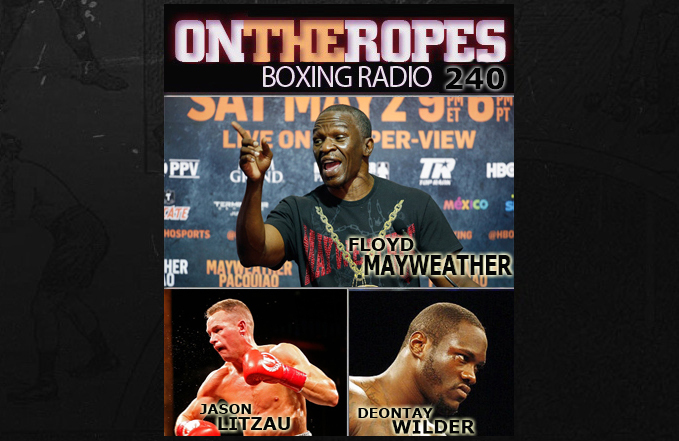 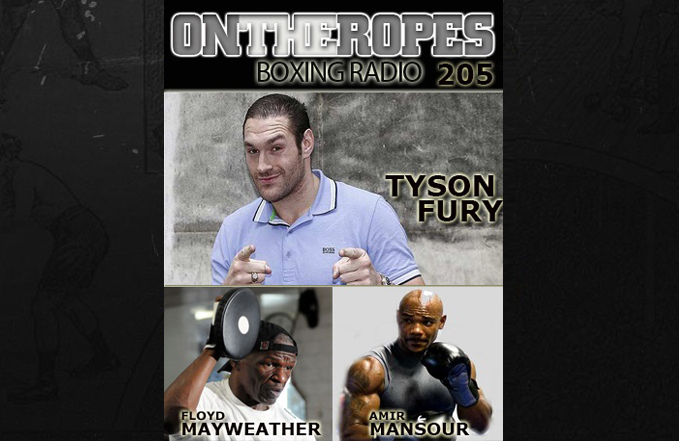 “On The Ropes” boxing radio Episode 240 features guest interviews with trainer Floyd Mayweather Sr, WBC heavyweight champion Deontay Wilder & contender Jason Litzau. 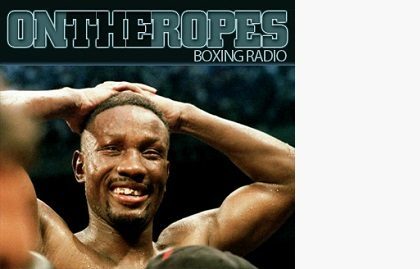 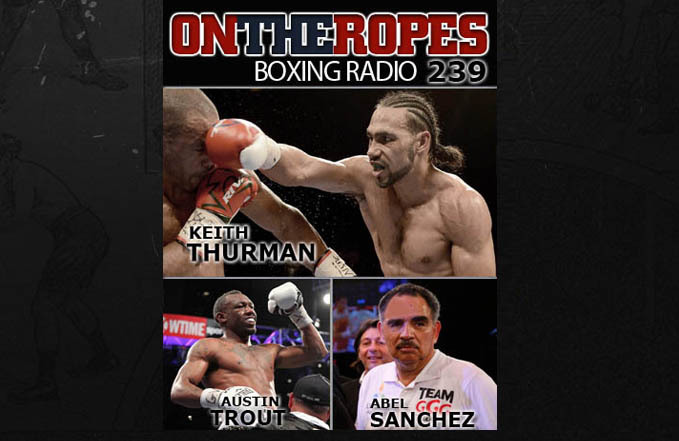 “On The Ropes” boxing radio Episode 239 features guest interviews with WBA welterweight champion Keith Thurman, former champion Austin Trout & trainer Abel Sanchez. 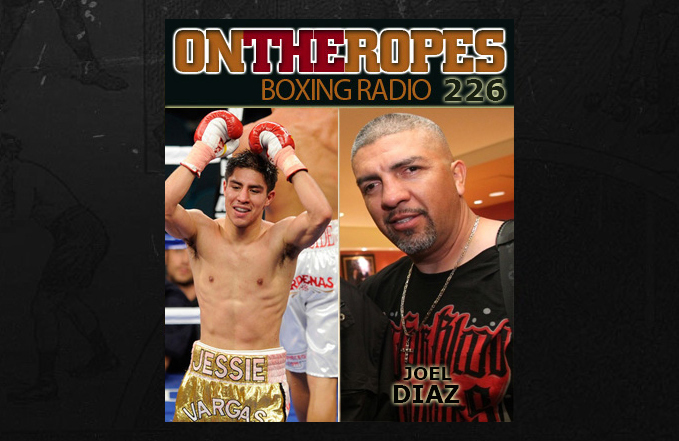 “On The Ropes” boxing radio Episode 238 features A guest interview with highly regarded boxing trainer Joel Diaz. 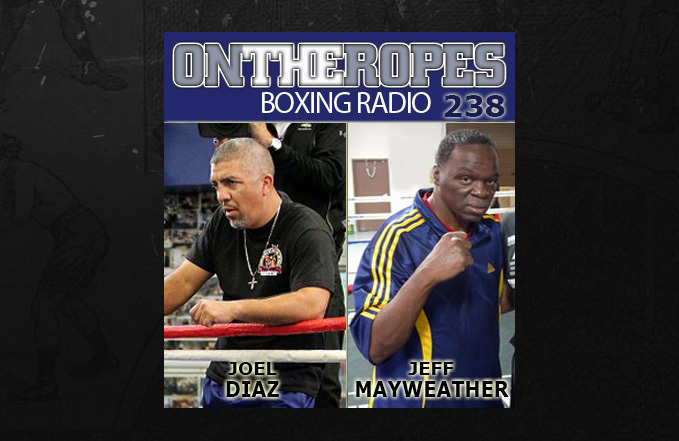 Also featuring an interview with former IBO champion Jeff Mayweather. 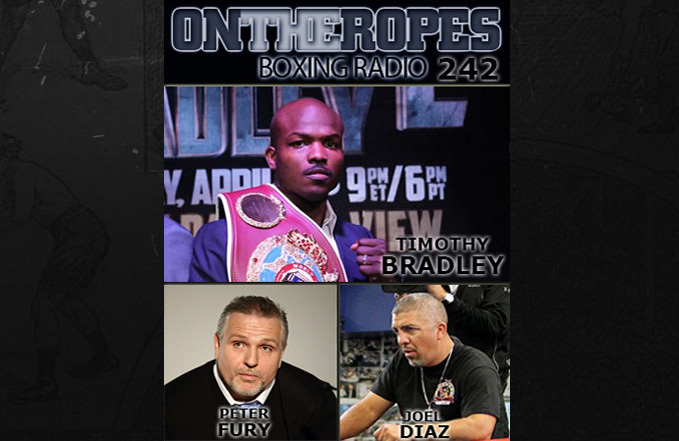 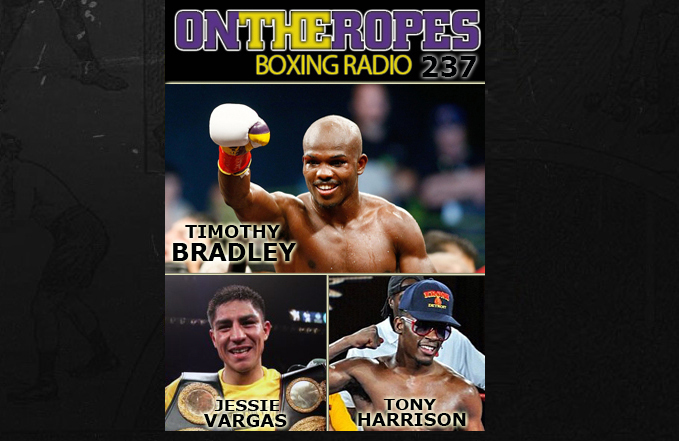 “On The Ropes” boxing radio Episode 237 features A guest interview with former 2 division champion Timothy Bradley. 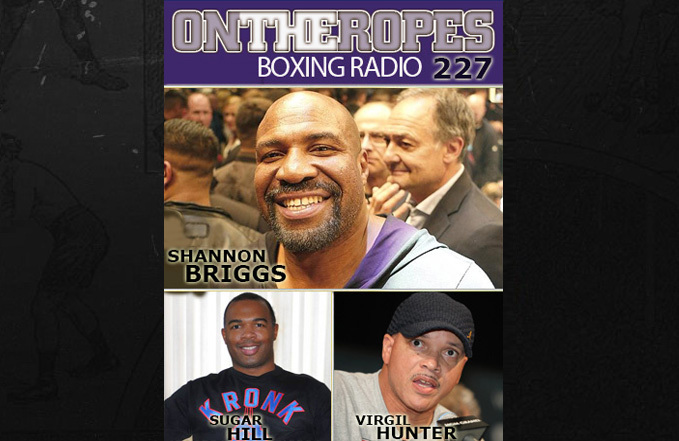 Also featuring interviews with former champion Jessie Vargas & Contender Tony Harrison. 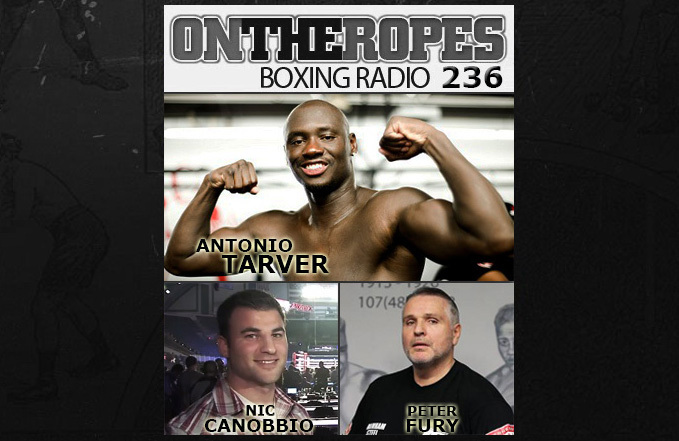 “On The Ropes” boxing radio Episode 236 features A guest interview with former light heavyweight champion Antonio Tarver. 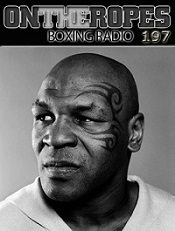 Also featuring interviews with trainer Peter Fury & Compubox’s Nic Canobbio. 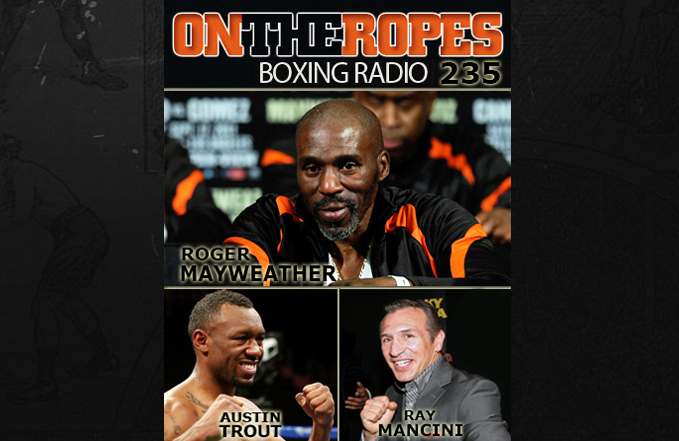 “On The Ropes” boxing radio Episode 235 features A guest interview with trainer Roger Mayweather. 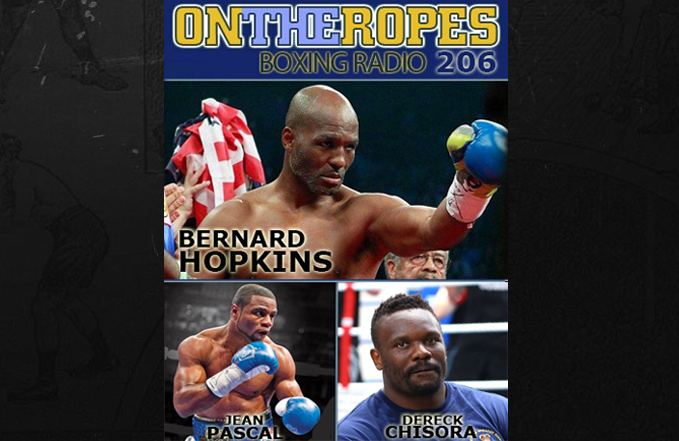 Also featuring interviews with former champion Austin Trout & Ray ‘Boom Boom’ Mancini. 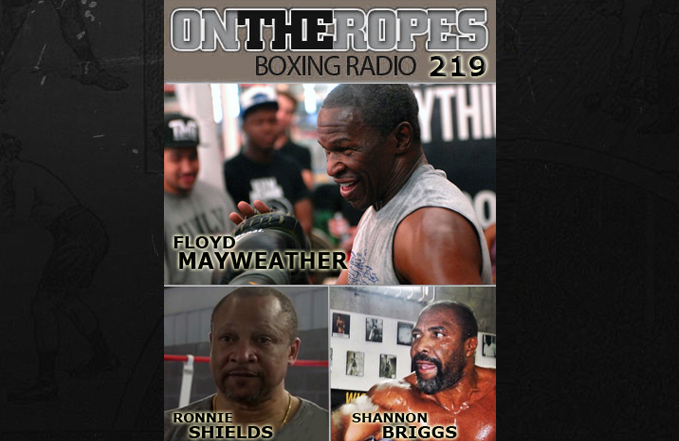 “On The Ropes” boxing radio Episode 233 features A guest interview highly regarded trainer Floyd Mayweather. 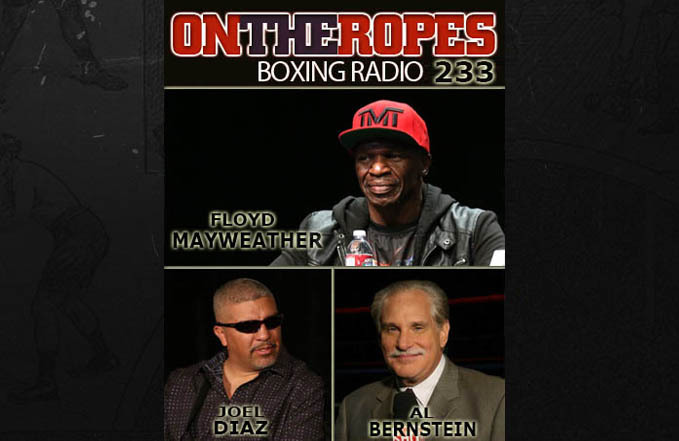 Also with trainer Joel Diaz & commentator Al Bernstein. 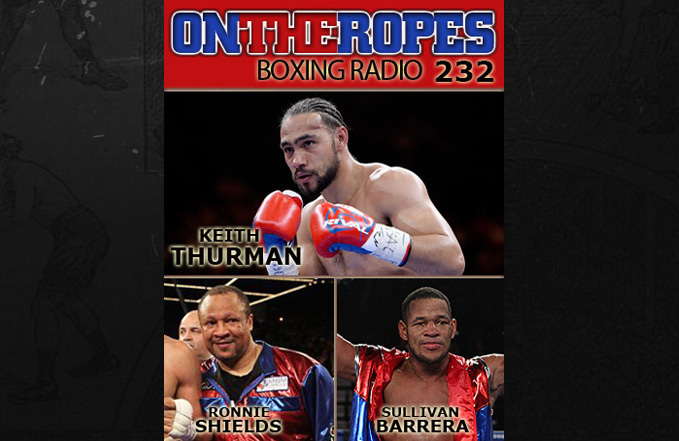 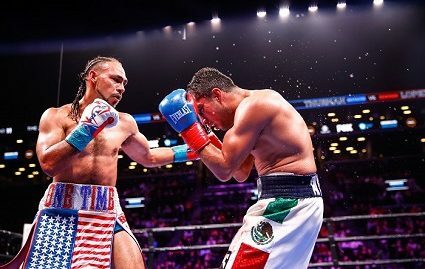 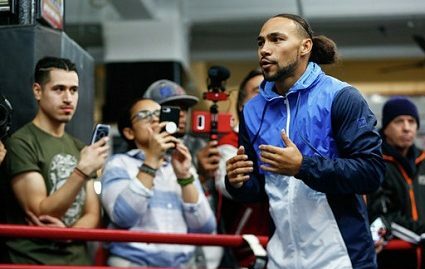 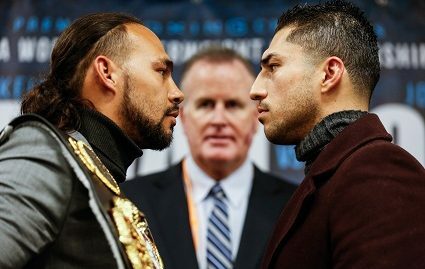 “On The Ropes” boxing radio Episode 232 features A guest interview interview WBA welterweight champion Keith Thurman. 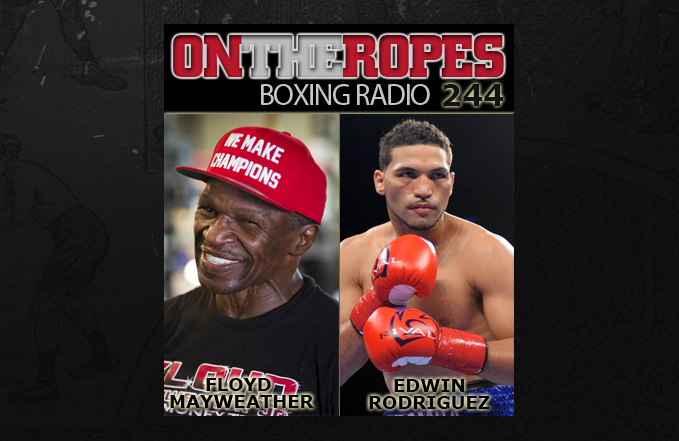 Also contender Sullivan Barrera & trainer Ronnie Shields. 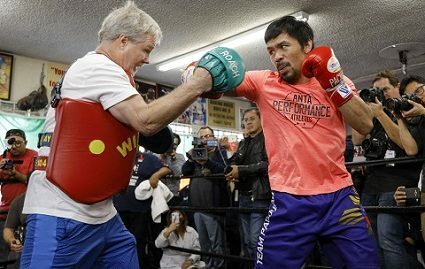 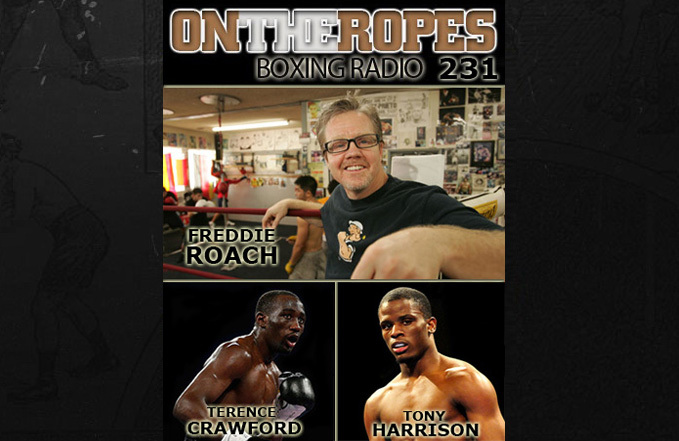 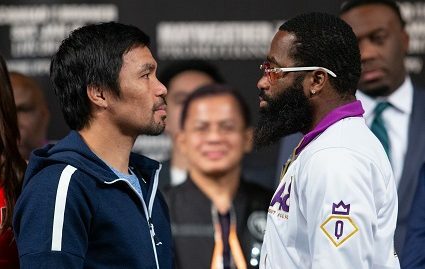 “On The Ropes” boxing radio Episode 231 features A guest interview interview with hall of fame trainer Freddie Roach. 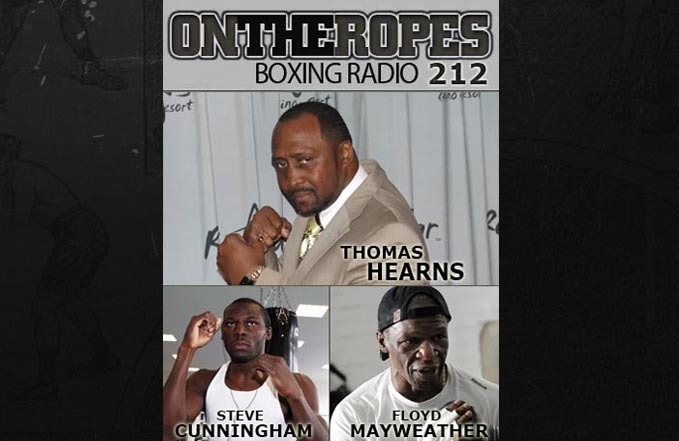 Also featuring former champion Terence Crawford and contender Tony Harrison. 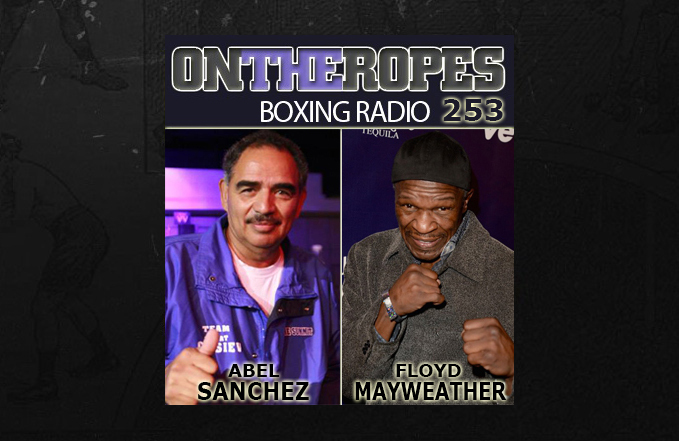 “On The Ropes” boxing radio Episode 230 features guest interviews interviews with world renowned trainers Floyd Mayweather Sr and Abel Sanchez. 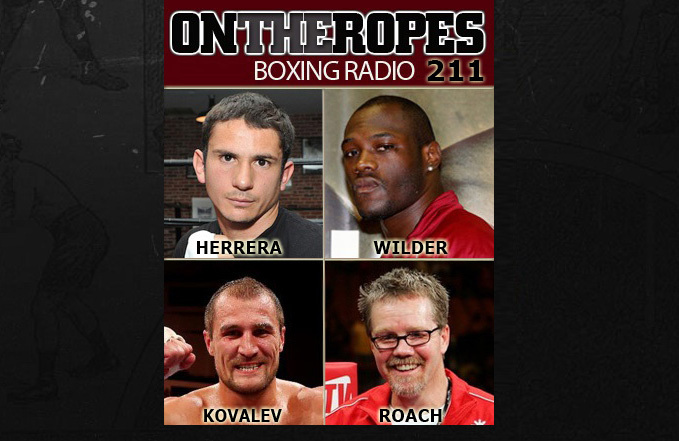 Also featuring former WBO light welterweight champion Ruslan Provodnikov. 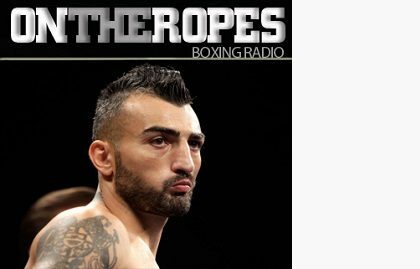 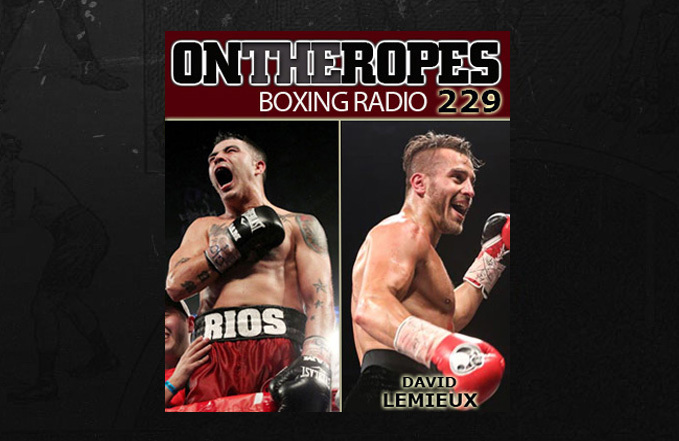 “On The Ropes” boxing radio Episode 229 features a guest interview interview world ranked middleweight contender David Lemieux. 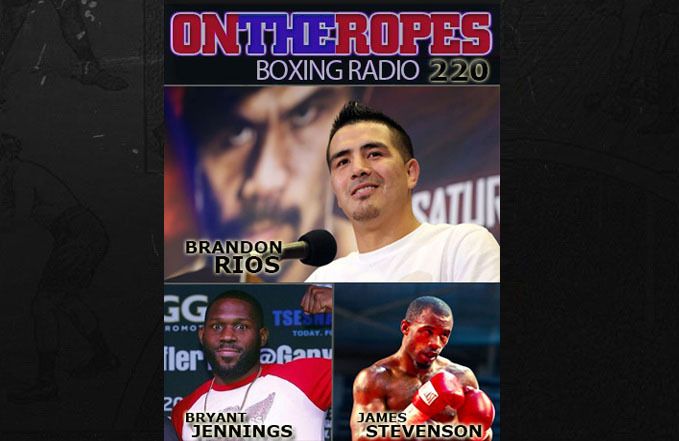 OTR# 229 also features a interview with former lightweight champion Brandon “Bam Bam” Rios. 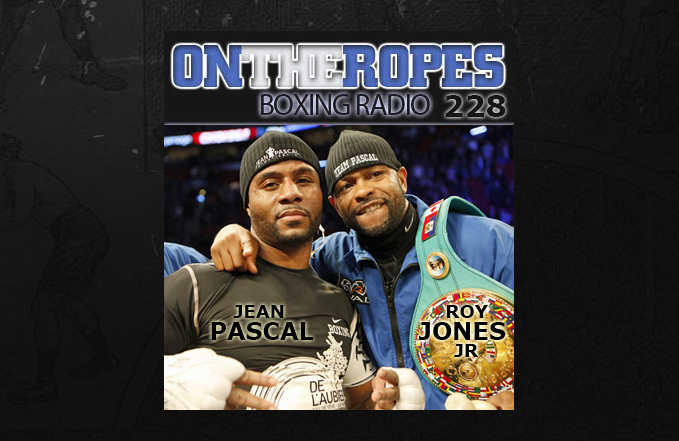 “On The Ropes” boxing radio Episode 228 features a guest interview interview former light heavyweight champion Jean Pascal. 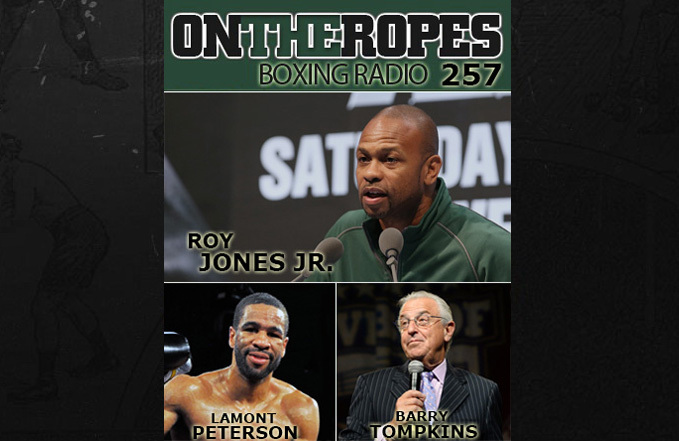 OTR# 228 also features a interview with boxing legend Roy Jones Jr to discuss Pascal’s upcoming Sergey Kovalev fight. 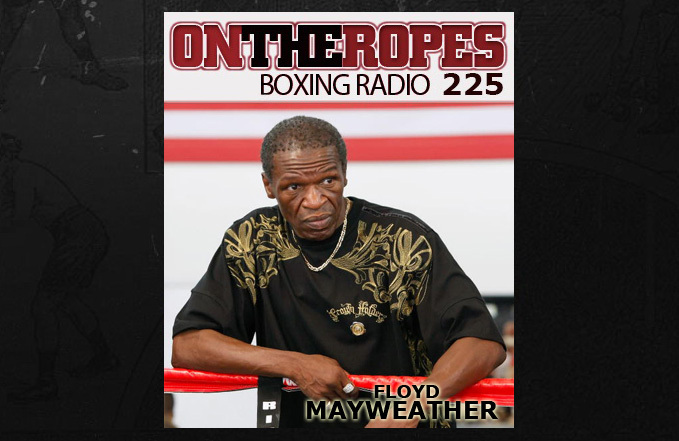 “On The Ropes” boxing radio Episode 225 features a guest interview interview with boxing trainer Floyd Joy Mayweather Sr who makes his 32nd appearance. 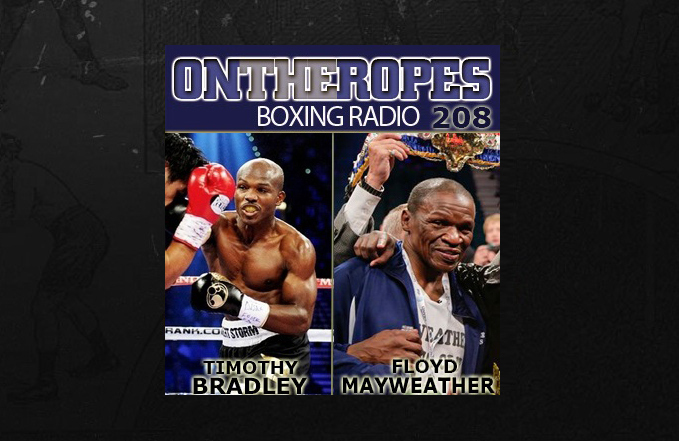 Floyd discusses the recent Pacquiao win and a possible Mayweather-Pacquiao fight. 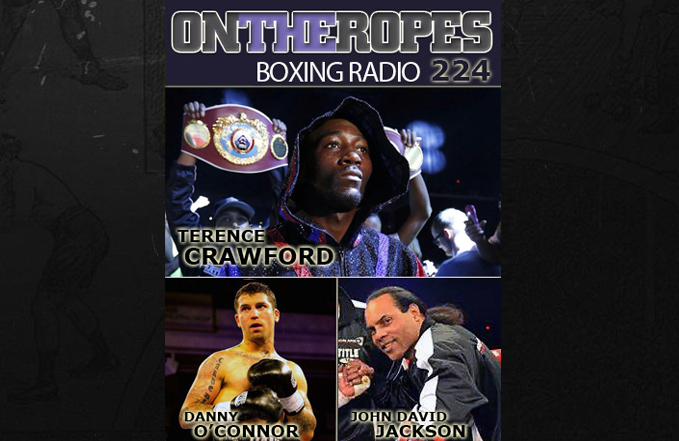 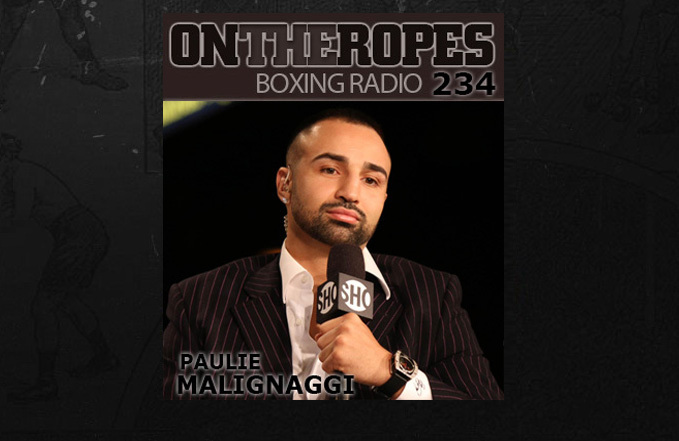 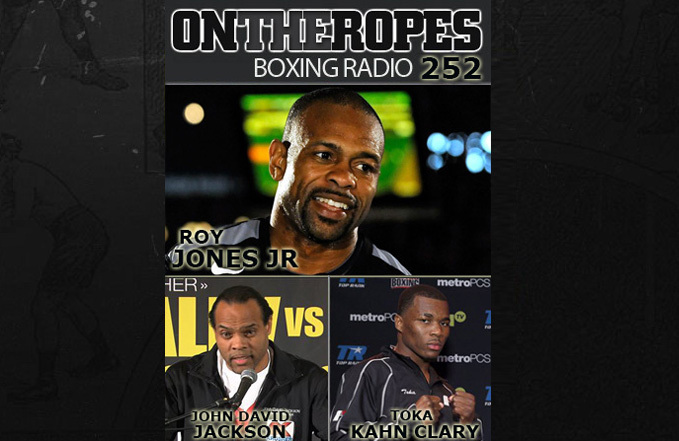 “On The Ropes” boxing radio Episode 224 features 3 guest interviews. 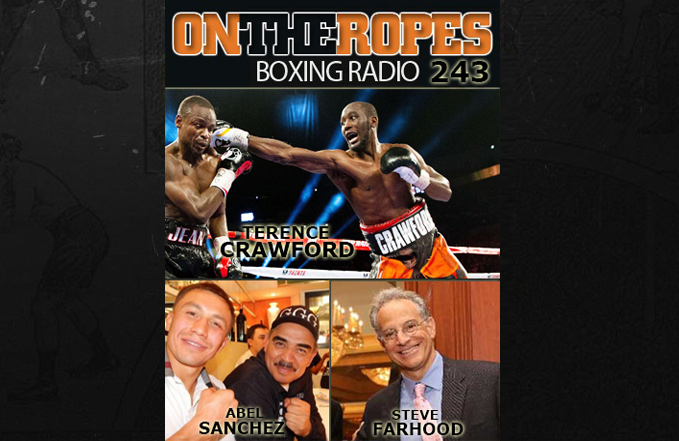 Reigning light weight world champion Terence Crawford makes his debut appearance. 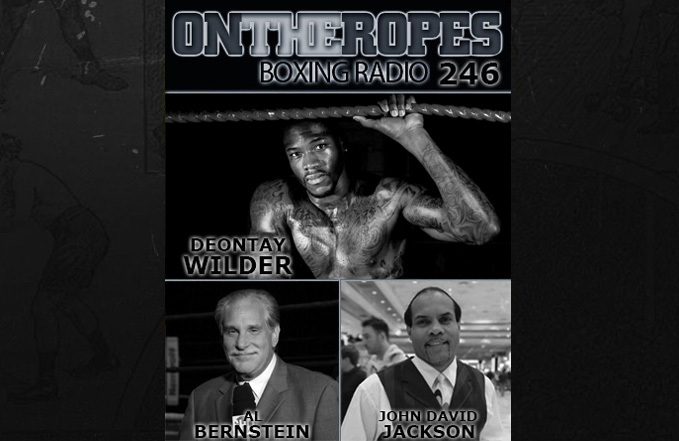 Also with contender Danny O’conner and trainer John David Jackson. 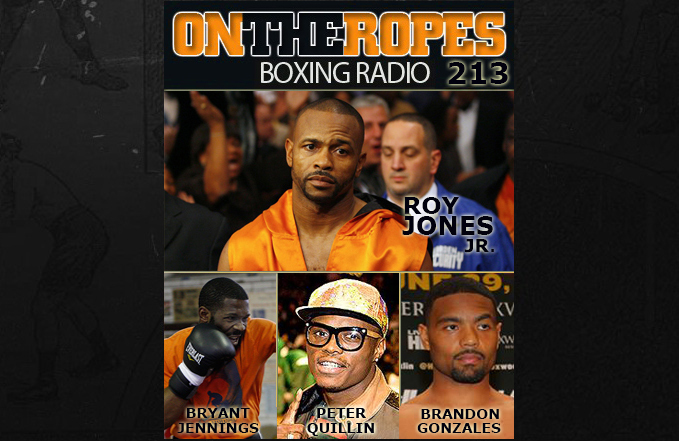 “On The Ropes” boxing radio Episode 223 features 3 guest interviews. 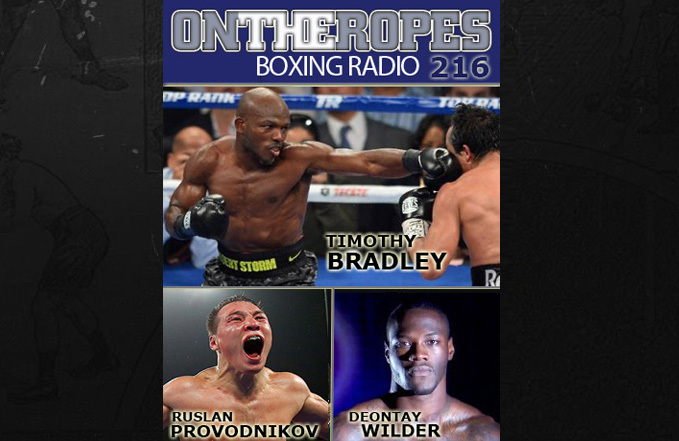 Former 2 division world champion Timothy Bradley makes his 13th appearance. 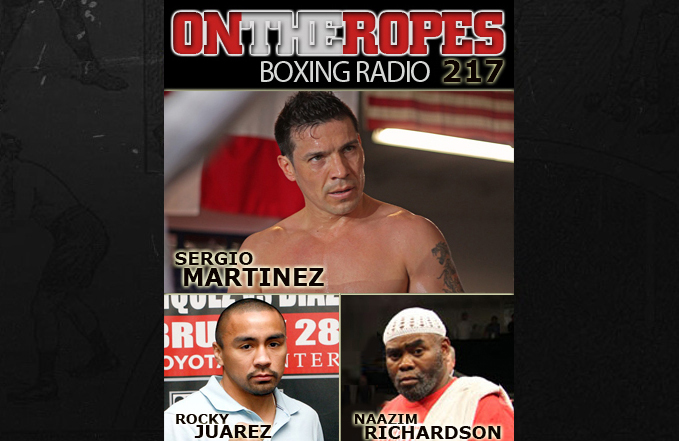 Also with contenders Edwin Rodriguez and Amir Mansour. 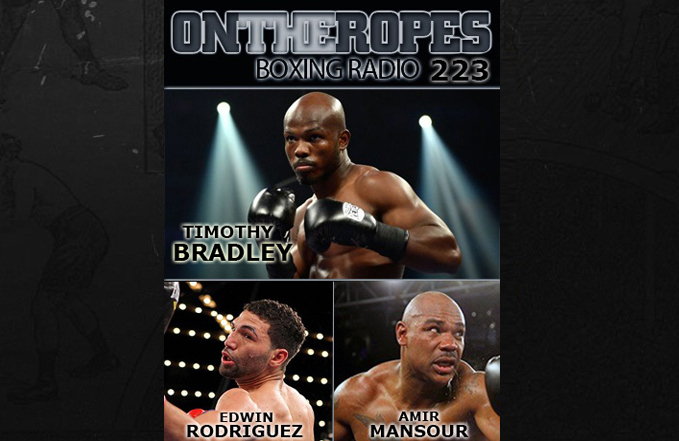 “On The Ropes” boxing radio Episode 222 features 2 guest interviews. 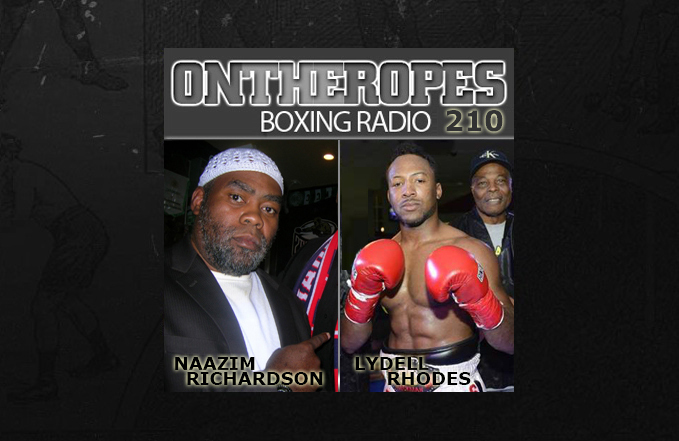 Trainer Naazim Richardson returns to discuss Hopkins-Kovalev & Mayweather’s recent win. 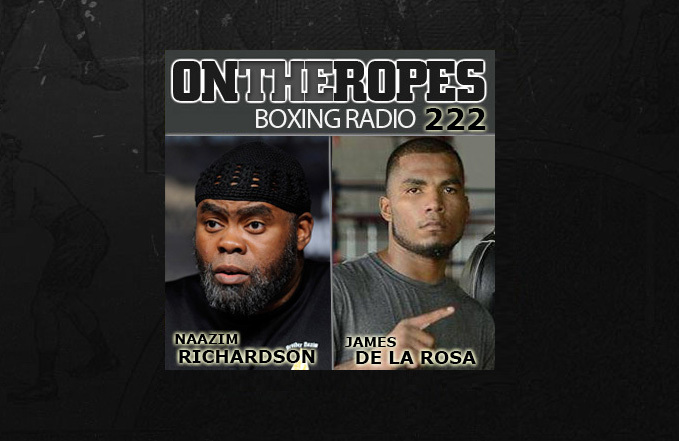 Also with James De La Rosa discussing his upset win over Alfredo Angulo. 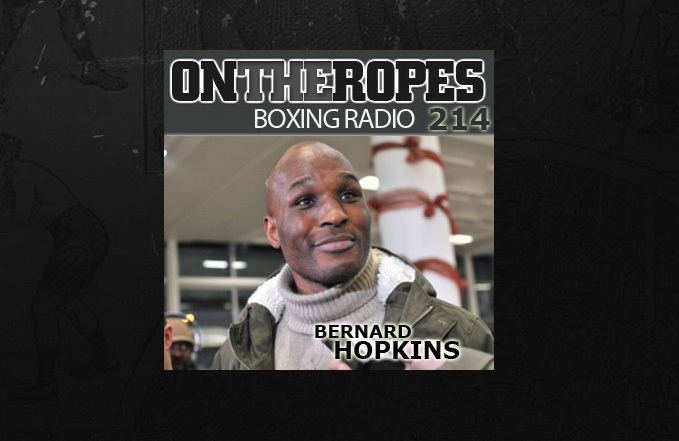 “On The Ropes” boxing radio Episode 214 features an exclusive guest interview with IBF/WBA light heavyweight champion Bernard Hopkins. 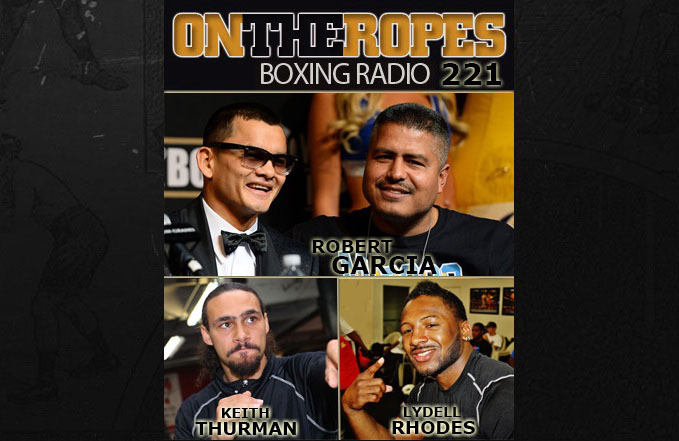 “On The Ropes” Episode 212 features 3 exclusive guest interviews. 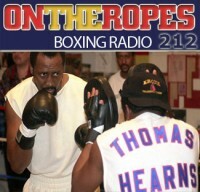 Hall of fame boxing legend Thomas Hearns talks about his career. 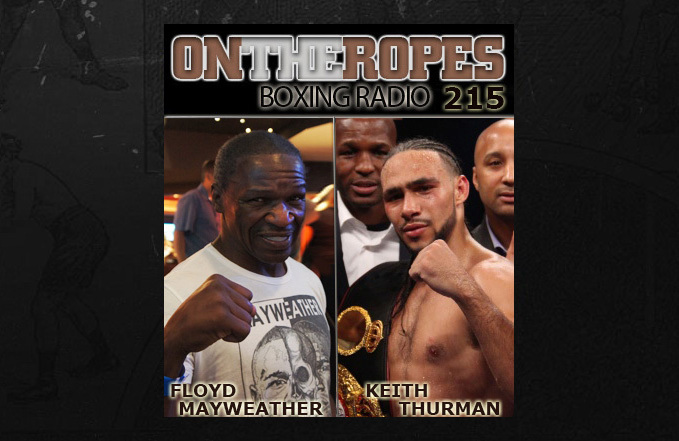 Floyd Mayweather Sr. returns to the show. 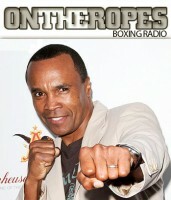 Also with Steve “USS” Cunningham.